More and more FTTH (Fiber to the home) networks have been and will be installed in subscribers’ houses due to growing requirements for more bandwidth and enhancements on their technologies. A variety of FTTH cables are accordingly designed including feeder cable, distribution cable, drop cable, etc. Today, this article will introduce the three types of FTTH cables in details. Before describing the three FTTH cables, first you should know how they work in FTTH network. Access network Out Side Plant (OSP) cabling can be categorized into three segments, namely feeder cable, distribution cable, drop cable. 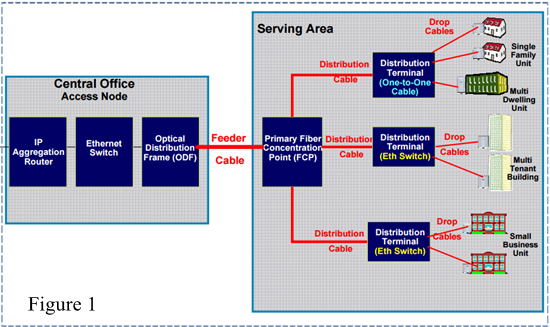 Figure 1 gives a simple pictorial view of the FTTH network infrastructure elements. From the above diagram, we know that the feeder cable is usually connected between the Access Node to Primary Fiber Concentration Point (FCP) to provide the necessary fiber capacity to serve the FTTH area. It usually covers a few kilometer distance. The distribution cable only covers distances of less than 1 km running from FCP further into FTTH network. At last, the drop cable forms the final external link to the subscriber and runs from the distribution terminal to the subscriber building with a distance restricted to less than 500 m and often much less in high density areas. The function of the three cables in FTTH network has been briefly introduced to you in the above text, please read on for more detailed information about them. In FTTH network, a feeder cable seen in Figure 2 is usually connected as ring topology extending from the central office to the Local Convergence Point (LCP) to provide connections to one or more distribution cables. A single feeder cable usually serves several distribution cables that will minimize the amount of optical cable, which provides a low initial cost of installing FTTH network. This cable, also called trunk cable, offers the highest packing density, since all the fibers are laid out in rows, typically of 12 fibers, and laid on top of each other. It generally uses a ring structure, which is convenient for expansion of the coverage area on basis of the ensured network security. In FTTH system, distribution cables (Figure 3) start from LCP and run to the entrance of the neighborhood. They are intermediate link connecting the feeder cable subsystem and the drop cable subsystem. It had better adopt the tree structure with the optical fiber quantities to save the engineering investment. As displayed in figure 2, distribution cable is the most popular FTTH indoor cable for its smaller size and light weight. It contains several tight-buffered fibers bundled under the same jacket with Kevlar strength members and sometimes fiberglass rod reinforcement to stiffen the cable and prevent kinking. These cables are used for short, dry conduit runs, riser and plenum applications. FTTH drop cable (Figure 4) connects Network Access Point (NAP) to the subscriber premises. Drop cables are designed with attributes such as flexibility, less weight, smaller diameter, ease of fiber access and termination. 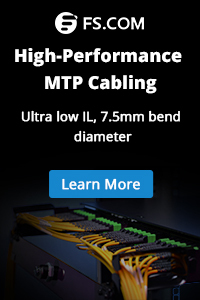 Their structure as well as their performance is optimized to be able to work with various FTTH applications. 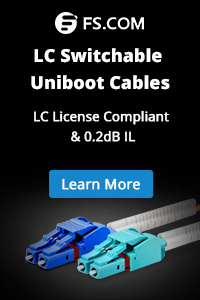 Drop cables will contain only 1 or 2 fibers for the connecting circuitry and possibly additional fibers for backup or for other network architecture reasons. This kind of wire is available in less fiber count and provides the only link to the subscriber, with no network diversity. Drop cables can be divided into 3 types: direct buried cable, blown fiber cable and aerial cable. It is most important that the optical fibers are utilized in such a way that efficient design, construction, maintenance and operation for FTTH are achieved. Therefore, to select suitable optical fibers for FTTH is a key factor. Fiberstore supplies a variety of FTTH fiber optic cables including FTTH feeder cable, FTTH drop cable, FTTH distribution cable, etc. In order to cut inventory costs and speed up the installation process for our customers, Fiberstore’s FTTH cable designs will simplify your project. This entry was posted in Fiber Optic Patch Cables and tagged distribution cable, drop cable, feeder cable, FTTH cable, FTTH drop cable, FTTH Indoor Cable. Bookmark the permalink.